Summer’s here! And the time is right for making sure your interns have a rewarding work experience this summer. That experience begins even before their first day on the job. Here are best practice intern onboarding tips to ensure they feel valued and an important part of your workplace culture and success from the start! For some people the Monday blues can kick in on Sunday evening. But there are plenty of cost-free things to do to banish those beginning of the workweek blahs and start the workweek off with a smile. You and your team can survive Super Bowl Monday in the workplace — thrive even! Turn this notoriously unproductive day around with the right leadership and employee engagement. 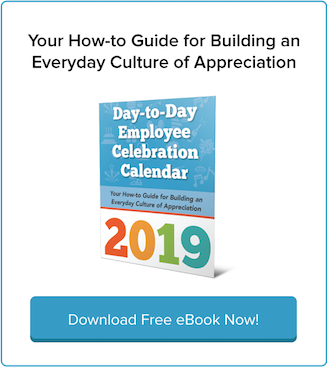 Like other holidays (official or unofficial), Super Bowl Monday is a great chance to let your employees know you care about them and appreciate their work. Are your employees caught up in election distraction? Don’t worry! Election Day is actually a great opportunity to engage distracted employees. This presidential election cycle has been more distracting and contentious than most — and it’s causing problems in the workplace, according to a recent Wall Street Journal article. As college semesters wind down, are you preparing to welcome student interns? If so, planning your on-boarding for summer interns should be front and center. You want them to love working with you, so you both have a successful summer experience. 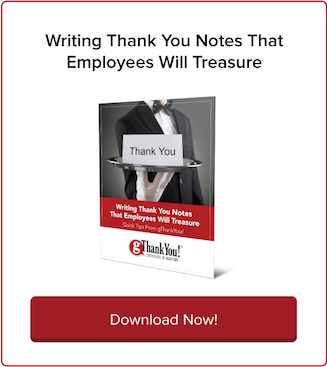 Simplifying life at work takes organizational cooperation and changes to workplace culture. Managers have the power to institute these changes and model behavior that inspire everyone at work to simplify both individually and as a team. Businesses nationwide have made New Year resolutions to help their companies continue to prosper in 2015. Remember growing up your Mom told you if you don’t make goals, you are less likely to achieve them? It’s national mentoring month! Last week’s post covered why workplace mentoring is essential and this week we’ll share tips for how to mentor your employees. 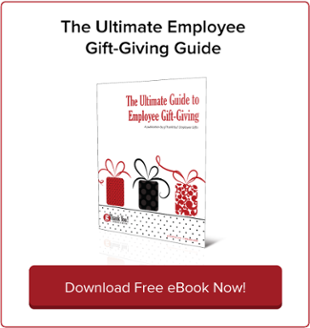 You want to make the best possible use of your time and that of your “mentee,” and really help him or her develop professionally and personally—it will bolster your image as a valuable employee too. Gratitude to the rescue! 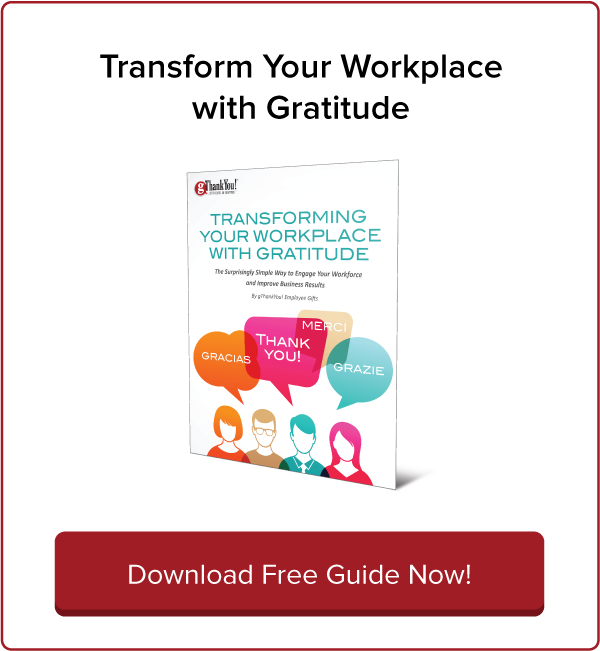 If holiday stress creeps into your workplace, try mindfulness and gratitude techniques to restore your sanity, be more productive and bring joy to those around you. Although the holiday season is all about appreciation and togetherness, it ironically triggers disconnection and stress when we don’t actively exercise conscientious and grateful attitudes. Wondering where you can shop using your gThankYou! Gift Certificate? You can choose your favorite grocery store chain or mass-merchant store such as Walmart or Target anywhere in the U.S.
As long as the store honors manufacturer coupons, they have the ability to accept your gThankYou! Get moving, get healthy and get happy this week by promoting workplace wellness activities for your coworkers and employees! This week, March 31 through April 4, is Workplace Wellness Week. Along the way, celebrate International Fun at Work Day (April 1, aka April Fools’ Day) and National Walk to Work Day (April 4). One day, a few weeks before Christmas, Mark Bittman and Sam Sifton — two of the New York Times’ most gregarious, fearless food writers — cooked a dinner party for 15 people with only eight hours to shop, prep and cook.